Haridwar when the word is been pronounced every Hindu visit sense a pilgrimage because the place is considered to be a holy place for Hindus. The place is mostly visited by the people residing in the state of Uttar Pradesh, Delhi and obviously Uttrakhand. The famous and most religious river named Ganga flows from here. The whole area is dedicated to temples and the main attraction here is the statue of Lord Shiva standing in the river Ganges. There are many temples of Lord Shiva and the city is also called as Shiv Nagri. A beautiful blend of the culture-nature can be observed at the same place. The city is considered as the holy city in the nation. River Ganga is called ‘Ganga Maiya’ and is said to that the river makes you pious and one can come and wash their sins here. If someone dies and their ashes were released to Ganga is set to be the most beautiful and eternal death and they will face move to haven according to the Hindu mythology. Sanskrit language, yoga, cultural and spiritual activities have a hub in the area. 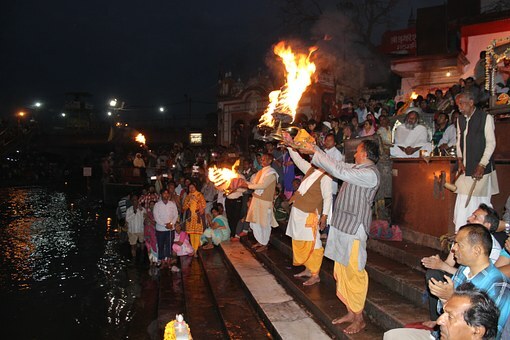 Har ki Pauri ghat is one of the major major place located in the city. A king named Vikramaditya built the place in the deep memories of his brother Bharthari. The most visited ghat here is Brahma Kund which is visited by most devotees across the country. 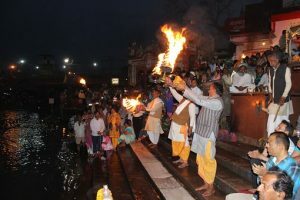 The amazing and fascinating view of a morning and evening arti of Ganga river attracts one to witness the same once in a lifetime.the mainstream view is when the devotees float their diyas in the river gives a view which cant be described into words. King Suchat Singh built the Chandi Devi temple on the mountain slope called Neel Parvat. A small trek of 3 kilometres is there to reach the temple from Chandi ghat, one can also use a cable car to reach the temple with a nominal fee. According to the mythology, the temple was built on the same place where goddess Chandi killed the devils named Chanda Munda who were army chiefs in the demon army by Sumbha and Nishumba. The main deity in the temple was given by saint Adi Shankaracharya in the eighth century. Swam Satyamitranand Giri founded the Bharat Mata temple which is on the bank of the river Ganga. The eight-storey structure is dedicated to Bharat Mata. Each floor is dedicated to different god and goddesses. The first floor is having the statue of Bharat Mata whereas on the second floor some renowned heroes of India are portraited. Achievements of Radha, Mira, Savitri, Draupadi, Ahilya, Anusuya, Maitri and Gargi are showcased on the third floor. Various religions are tried to be displayed on the fourth-floor religions like Jainism, Sikhism and Buddhism etc. After travelling the distance of five kilometres one can easily reach sapt rishi ashram. The ashram is main Sanskrit learning point where every tourist should go and have a visit once. The name is sapt rishi because even saint has done meditation here the names are Kashyap, Vashisht, Gautam, Jamadagi, Vishwamitra, Bhardwaj and Atri. 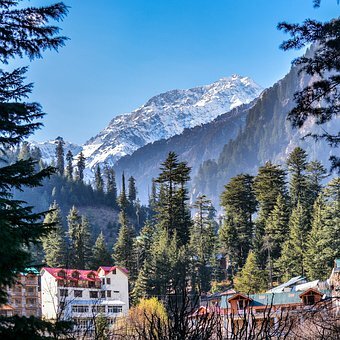 It is believed that when Pandavas were going to Himalaya they crossed the place. One of the uprising brand named Patanjali is also situated in the city. Patanjali Yog peeth is the place one can go and see. It is one of the most popular and largest yoga school in the nation run by the Ramdev Baba. The place is located on the Delhi Haridwar highway. It is must visit place if one wants to experience the nature and yoga power. This entry was posted in Tourist Attractions and tagged Haridwar, haridwar tour. Bookmark the permalink.